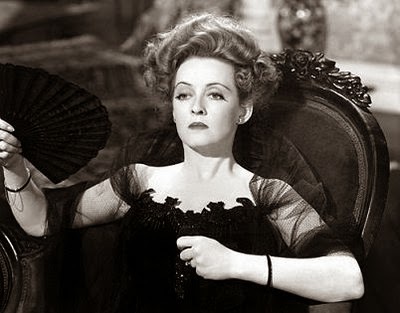 When I think of Bette Davis, one word comes to mind: fierce. Whether portraying a cunning evil Vixen or a plain fragile soul, there was a fierceness to her even if it was way below the surface. Perhaps that was something pouring over from her true self into the role that she played? I do not know. All I know is that I could sense it. We are going to explore two of her famous characters and get a feel of the fierceness that lurked. In this movie, Bette Davis plays Regina Giddens. At the start of the 20th Century, women certainly didn't have as many rights as men, particularly when it comes to inheritances. Regina's brothers inherit from their wealthy father, while she can only rely on her ill husband for financial support. Now this does not sit well with Regina. She wants what she feels she is owed- a lot of money. When her brothers' scheme to gain more money for a venture does not go as planned, she finds the perfect opportunity to blackmail them. Regina's fierceness is seen in what she is willing to do to get what she wants. I do not want to give too much away but there is a coldness in her. There is an intensity, a power, a fierceness in her eyes and body language as she stands firm to achieve her goal no matter the cost. Davis plays Charlotte Vale. Charlotte is considered plain and unattractive. She is brow beaten by her mother and has no self-esteem. Things start to look up for her when she gets away from her mother. She spends time in a Sanatorium and then takes a long cruise. While away from her mother she learns independence and falls in love. Charlotte's fierceness is in her determination not to be placed back under her mother's thumb. She stands firm against her mother. When tragedy occurs, she seeks the help she needs. Then she has the compassion to help a young girl in a similar situation. She finds the power and fire within herself to be strong. One actress. Two characters. Very different personalities. Yet a power within them. A firmness. Strength. Fierceness. Bette Davis was one of the most incredible versatile actresses on the screen. She could play comedy and drama and did both exceptionally well. One of the most poignant performances was as Jane in "Whatever Happened to Baby Jane?" but then again her performance was made even MORE stellar by co-starring with Joan Crawford as her sister Blanche. You could feel the real-life tension between those two which made the film that more more intense. Thank you for your comment! Agree completely with her being one of the most versatile. She truly commanded the screen. 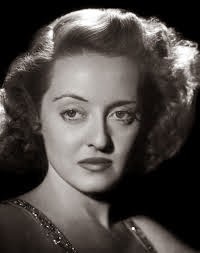 I agree TCM should do a Bette Davis marathon. Very good post, Amy. I enjoyed reading it. I remember watching "Now, Voyager" in TCM so many years ago. She goes to Rio in that movie. I still have to watch "The Little Foxes". 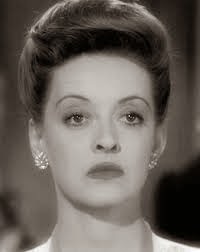 My favourite movie of Bette Davis is "All about Eve". I love her character there. Thanks, Ana! You really should watch "The Little Foxes" it is such a good movie. Yeah, "All About Eve" is one of my faves too.